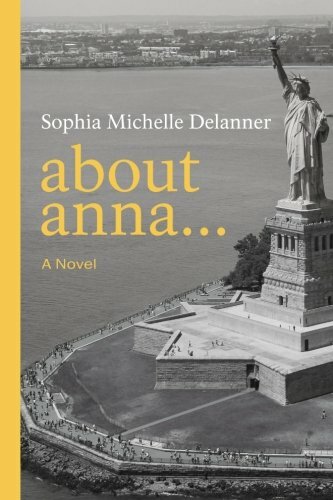 Article first published as Interview: Sophia Michelle Delanner – Author of ‘About Anna…’on Blogcritics. Born into a dysfunctional family during the restrictive totalitarian regime of the Soviets, Sophia Michelle Delanner was brought into the world with an intense lust for life and an incorrigible tendency to unravel the miraculous workings of destiny; she hopes one day to get to the bottom of how this universe works. Four developed countries on two densely populated continents, listed as all-too-impermanent permanent places of residence on her lifetime résumé, gave her the chance to observe people and partake of their cultures while searching for elusive happiness. Sophia lives in New York and enjoys writing about the extraordinary stories of ordinary people. Sheri: Welcome Sophia, and thank you for being here. Can you start by telling us a little bit about yourself, and your journey to becoming a published author? Sophia: Happy to be here. It had been a long road, a bit over ten years to be exact. Of course, for the first few years I had no intent to write a novel - none, I was journaling, as a way to vent out all my frustrations with the world in general, and my family in particular. But, word by word, sentence by sentence—and voila!—here we are. Sheri: What is About Anna…about? Sophia: My novel, About Anna..., depicts three generations of Russian women living in a shabby-chic neighborhood in New York City. Anna, who has always lived in the shadow of her narcissistic parent, is almost forty and a single mother of a teenage daughter. When she meets David, their love seems timeless and everlasting, but both of their pasts just might destroy their future. Sheri: The relationship between Anna and her mother is almost painful to read about at times and hilarious at others, probably because you nail the stereotypical mother-daughter drama to a tee! Can you tell us about the creation of this relationship and the intended impact to the story? Sophia: The relationship between mother and daughter is the most complicated of all the family ties. In my novel, I created the snapshot of a dysfunctional family to show the impact growing up with controlling parents would have on how the grown-up children would deal with life, and the affect it has on the next generation, in this case, Anna’s daughter, Hannah. I wrote this book for every child struggling with the ramifications of being raised by a narcissistic parent, and especially for all the daughters of narcissistic mothers. I grew up with such a mother, and even after years of therapy, I will always have a huge hole in my life where my mother’s love and affection should have been. It makes me so sad to think about all the years I wasted believing that I am wrong, instead of knowing that there was something very wrong with the way I was raised. And while ruminating on the subject of life and researching the ways to deal with it, I stumbled upon a set of characters who demanded to be given a chance to live and to open up a conversation about certain aspects of life that are problematic. Sheri: Your writing style is very engaging and you have a natural storytelling gift. Where did you get the inspiration to write your story? Sophia: From life. Through the years, I met quite a number of people, including some of my friends, whose family circumstances were not dissimilar to mine, and whose stories helped further the development of my characters. I also had to go through a few tons of books on psychology in an attempt to rationalize the motivation behind people’s behavior, especially the parental narcissism. It is a complex issue since in most cultures motherhood is considered a sacred institution and therefore is generally not discussed in a negative light. Sheri: What is the main message you hope readers take away from About Anna…? Sheri: What can you share with us about your precious supporting protagonists, Adam and Eve? Sophia: The most wonderful people. Ever. The greatest teachers, too. Life would be so much more complicated without those two furry critters. Sheri: Can you tell us more about the relationship between Galina and her daughter Anna? Sophia: Galina never wanted to have a child. She is interested only in herself, and what happens to her; the presence of her daughter irritates her, and it becomes worse with time. No matter what Anna does, she cannot please her mother. It is an exhausting way to live, and this feeling of being an unwanted burden, the sense of inadequacy, and the belief that love comes with a price, Anna will transfer to all the relationships in her life, including her choice of a partner. Sheri: Can you explain what it means to live with a narcissistic mother? Sophia: To the narcissistic mother the child is simply an extension of herself, and she demands the child to conform to her mold. It brands your soul and is not dissimilar to cloning. The child is never good enough. There are no boundaries, and learning to set them is a complex challenge. You have better odds for success at attempting to slay a three-headed dragon with a toothpick. Sheri: But what happens when these children grow up? It is not just a childhood that is affected; the child takes all the lessons into adulthood. Sophia: As adults, these abused children have difficulty overcoming feelings of inadequacy and emotional emptiness. They may engage in unrelenting self-criticism and self-sabotage, and have a fear of abandonment that leads them to form unhealthy romantic relationships. In the attempt to heal the wounds received in childhood, the original situation would be recreated over and over, and some of these recreations might turn into domestic abuse. As you can see in the book, it was inevitable that Anna would form a few violent relationships with men. The absence of a father as a role model did not help matters much. Sheri: Can you tell us about the love story in About Anna…? Sophia: After a life-long succession of regrettable choices and a slew of bad relationships, Anna gives up hope of finding her better half—until she meets David. As we know, people come into the relationship dragging all their good moments and painful moments with them. As we also know, the past does not always remain in the past. So even if David and Anna’s all-consuming love seems timeless and everlasting, both of their pasts just might destroy their future. Sheri: What are the cultural differences between American and Russian child rearing? Sophia: The difference between the American mentality and the mentality of former Soviet citizens is vast. Where American society builds up the individuality of a person, the Soviet one was actively suppressing or eradicating any sign of individuality, with this supposedly done to benefit the society in general. This flawed and rigid ideology had been so deeply rooted into people minds that it affected everything, first of all, the methods of child rearing. I have seen too many similar scenes in the houses of educated people—the contemporary Soviet so-called intelligentsia. Actually, it is one of the main conflicts of my heroine, who is open to the transformative experience—how to erase her Soviet programming to make room for the new Anna that is emerging in the States. Sheri: Your heroine goes through periods of complex transformations. Tell us about this. Sophia: The most difficult transformation, of course, is not the physical relocation, but literally breaking up of the psyche, when as emigrants through the process of assimilation we had to reevaluate and rethink our perception of the world around us as well as our relationship with that world. [In many aspects, this internal metamorphosis is similar to digressing back to the childhood but not to learn to walk and talk, of course, but to dismember yourself to put yourself back together by learning new ways of thinking.] This process did not begin with the crossing of the US border. It began back in Russia, when people got kicked out of the universities and Komsomol as traitors to the Motherland, and when the same childhood friends you thought to remain your friends until death would turn away from you when they learned you had applied for the exit visa from the USSR. Life is the greatest teacher. Sheri: Anna’s relationships with men are violent, how does it affect her teenage daughter, Hannah? Sophia: Parenting is tough, and none of us does it perfectly. That said it is an extra challenge when you have no positive role model as a mother. In the case of Anna and Hannah, of course Hannah would mimic some of the behavior she witnessed with her mother as her mother struggles with love relationships. Anna cannot give her daughter what she does not have. Only a mother who possesses those qualities herself can teach self-trust, self-love, and self-knowledge to a daughter. To Anna’s credit, she works hard to learn who she is, and it is not a coincidence that Hannah becomes a psychologist in order to understand her family dynamics. Sheri: Is there anything in the book you worry might be misunderstood by a US audience? Sophia: The reasoning behind Anna’s behavior could be misunderstood. First of all, because of the cultural differences between America and Russia, some things would be hard to explain to today’s reader, considering that many people these days do not even know what Soviet Union was. Quite a few things that would be seen as outrageous by Americans were considered the norm among Russians. In the Soviet way of upbringing, like in some other cultures around the world, the child was expected to be an extension of his parents where the parents would push their offspring in a certain direction with the intent to protect and make their child happy. I do not know if that approach actually made anyone happy. Then, besides a deeply ingrained conditioning of superiority of collective versus individuality, it is also the aftereffects of being brought up by an indifferent parent, as Anna was, which led her to being left to her own resources. Anna was brought up by the Soviet school and the Soviet street: in the school she was hammered with the ideas of the bright Communist future and her happy childhood she must be thankful for; there she was taught to suppress and hide her true thoughts and desires. The peculiar form of anarchy within the framework of the Socialist mentality reined on the streets, which basically meant the survival of the fittest in its most primitive form. Sheri: The novel is both intense and contemplative, but also very humorous. Is the humor a tool to help to deal with life? Sheri: Were you nervous about injecting humor into such serious subjects? Sophia: The humor is a big part of life. It is a reflection of the inner resourcefulness and is a way to keep your sanity. To survive you have to develop the sense of irony and absurdity, it is sort of humor from the edge of the grave. Sheri: Do you think your mother would be interested in reading this book? Sophia: No danger of that. She does not read fiction, and her English is not good enough to understand it. Sheri: I understand you are bilingual. When did you learn English? Sophia: I learned English when I came to the States in my early twenties, if I would have come earlier in life I wouldn’t have a Russian accent, I lucked out in that department. With the way any foreign language was taught in Russia, I was able to construct only simple sentences with a vocabulary of about four hundred words with the majority of them being British English. I am comfortable with both languages. At times of stress or some other primal emotional moments, I might switch to Russian. For me, the Russian language is in some way an inspirational mechanism with its rich expressions and innuendoes. It is a bottomless caldron of material. Sophia: There was a lot of advice, some of it useful, some not so much, and quite a few turning points. Besides taking classes, I have several shelves filled with books on writing, and I have read them all, greedily and attentively. I think it is impossible to point to just one singular advice and say that it’s the most important one, things usually work better in bundles. Sophia: If you have a story that is burning in your heart—go for it. And please learn the craft of writing; it will save you a lot of time and aggravation. Sophia: True, free time is always an issue. I read, listen to music, watch the movies, meet with friends, cook—quite an ordinary life. Whenever I can, I try to spend more time in nature. Sheri: What is next? Do you have another project in the works? If so, what can you tell us about it? Sophia: I thought I would mine the Russian immigrant motif one more time. I will be taking the reader south of Manhattan—to the place affectionately called “Little Odessa”—the Brighton Beach. This time it is a story of two sisters, their husbands, and their adventures— real and self-imposed—in the world of modern Russian businessmen in America, Brighton Beach style. Sheri: Before we go, can you tell us about your website, blog, etc., and what additional information can be found there regarding About Anna…? Sophia: I have a website, www.sophiadelanner.com, which is updated more or less regularly, with the latest events, like reviews and interviews. There are free chapters from About Anna..., articles and photographs. Sheri: Sophia, it has truly been a pleasure having you with us today. Thank you so much for stopping by and giving us some insight on your novel. I look forward to seeing more work from you in the future! Sophia: Thank you so much for inviting me!